Mushrooms are a fascinating member of the fungi family and have been food source for humans for hundreds of years. 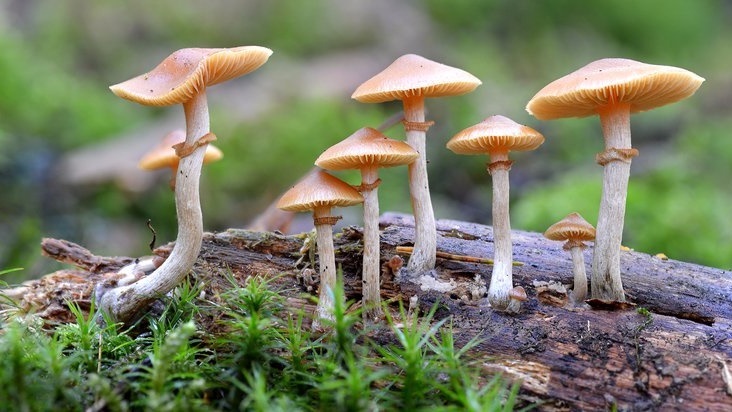 Apart from the edible ones, there are some species of mushrooms having strange properties ranging from being psychoactive and mind altering to downright toxic. One particular type of mushroom called the Magic Mushroom has psychedelic properties and has been a subject of interest for researchers for its unique psychedelic effects. The psychedelic properties can help mushrooms cure depression. But before we talk about how to use mushrooms to treat depression, let’s understand what the magic mushroom actually is. The term magic mushroom encapsulates any species of mushroom which contains the psychedelic compounds psilocybin and psilocin. There are around 200 species of mushrooms which show this particular trait and can be referred to as magic mushrooms. These mushrooms have long been used for their hallucinogenic properties for religious purposes in Central America. They are also used as a recreational drug in some countries, where it is legal. Since the magic mushrooms can affect neural pathways of the brain. They have always been a subject of interest for scientists for their potential benefits for psychotherapy. Magic mushrooms contain two psychoactive compounds called psilocybin and psilocin. Psilocybin is broken down into psilocin in the human body, which is the active psychedelic compound. Magic mushrooms work like a phototropic drug and acts on the central nervous system to cure depression. Since there are several species of magic mushrooms their usage and dosage may vary from one another. Some species can have stronger effects than others, causing intense feeling of high. Generally, people are advised to take only a gram of dried magic mushrooms and wait for the effects. It they think they may need some more they can, if advised so. While many people just chew on the magic mushrooms, but some people can’t stand the taste. If the taste is a problem, it’s fine to take magic mushrooms along with some fruits or a smoothie. The mushroom will soon act on the central nervous system to provide a sensation of mild high and some relief from depression. It is recommended to get your doctors approval before you try the magic mushrooms. Also make sure you pick the right species as advised by your doctor as some mushrooms can be toxic.